This antique vase is a stunning demonstration of the vibrancy of Japanese design at the end of the 19th Century, in the era known as the Meiji period. 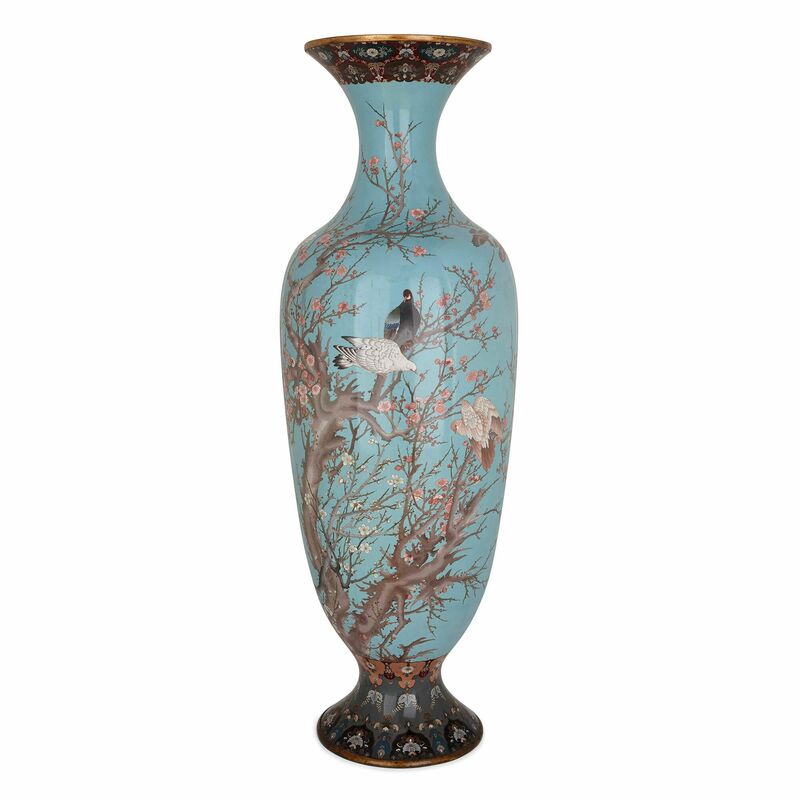 Intricacy of design and beautiful sky blue colouring make this antique Japanese Meiji period vase a truly special piece of cloisonne enamel work. 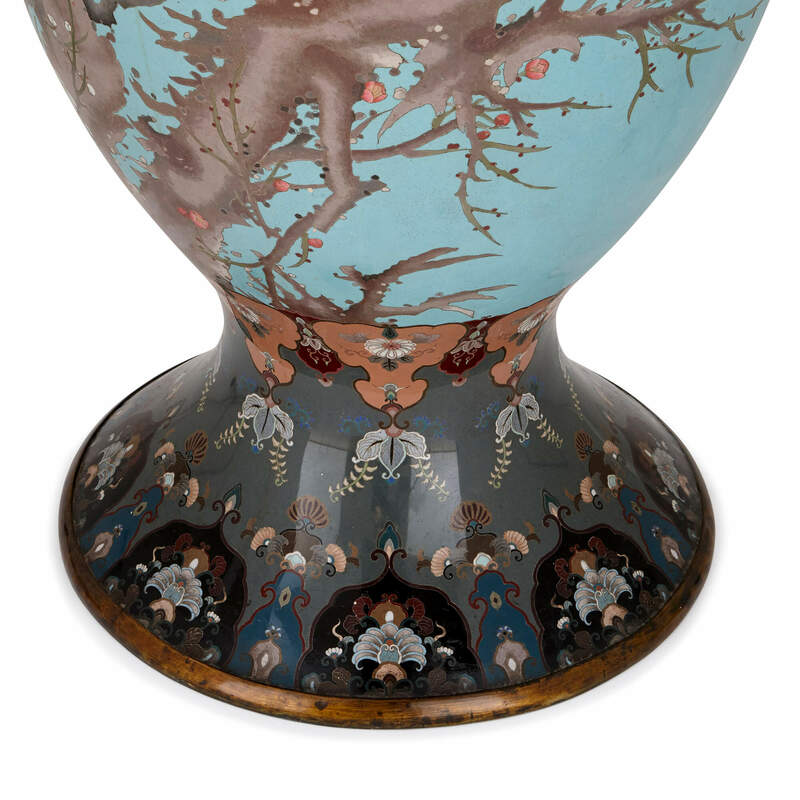 And standing at nearly two metres in height, this vase is also notable for its large size: clearly it has been designed to be the focal point in a room or interior. 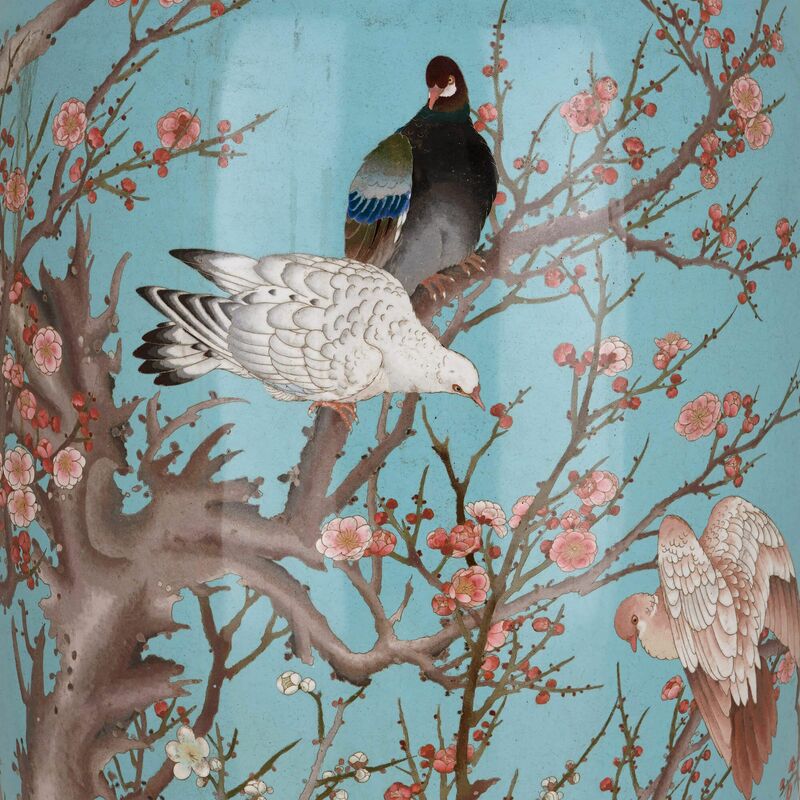 The vase is ovoid in shape and is decorated around its exterior with trees, birds, and flowers, all of which are set on a serene light blue ground. The tree is also shown with intricate blossoms. 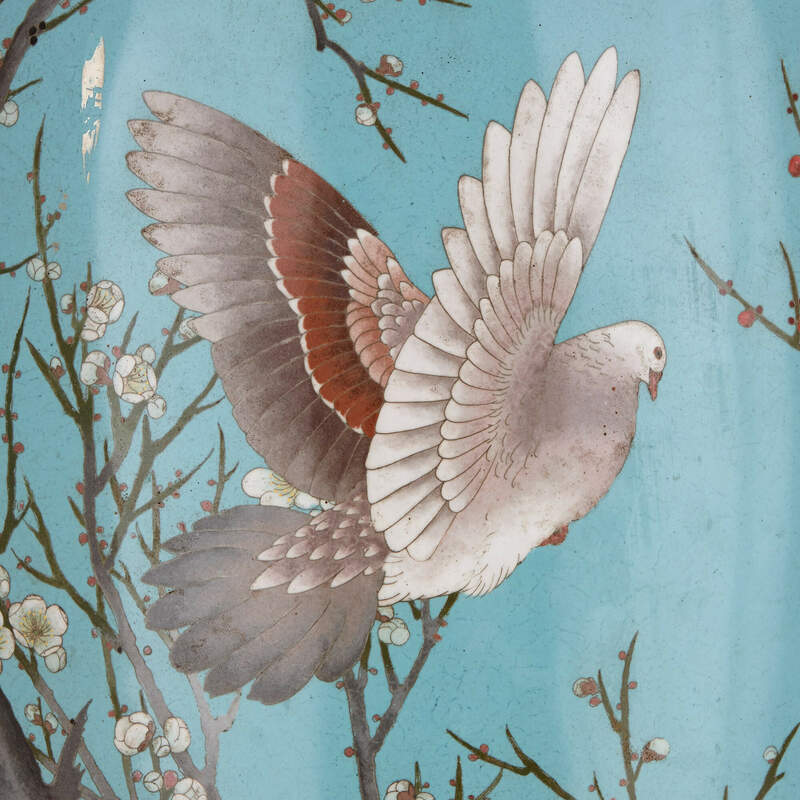 Blossoms are an important part of Japanese culture, symbolising the beauty and fragility of life. 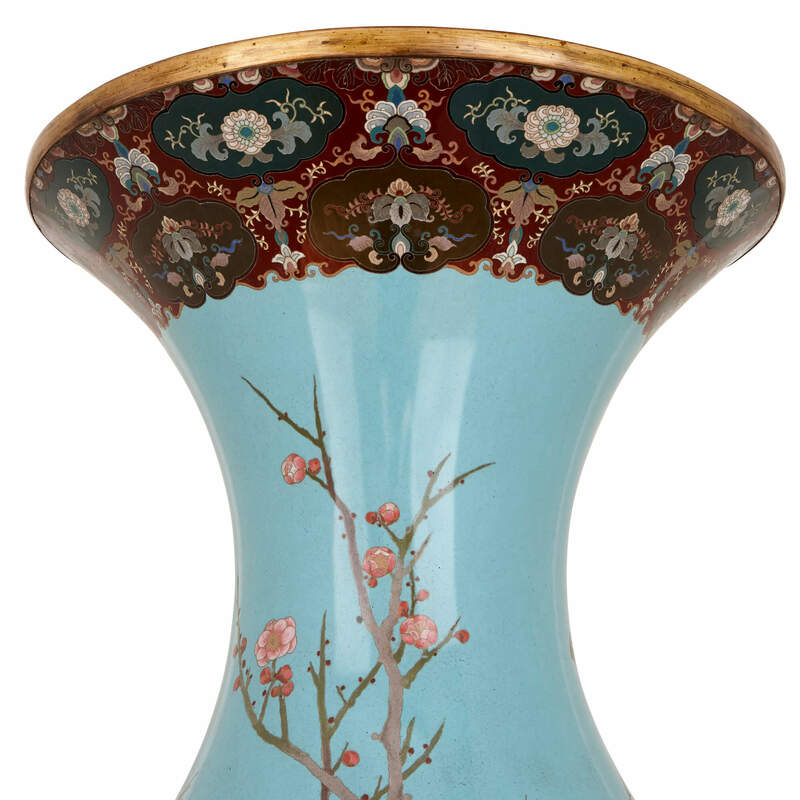 The base and rim of the vase are decorated with geometric motifs on a darker blue ground. 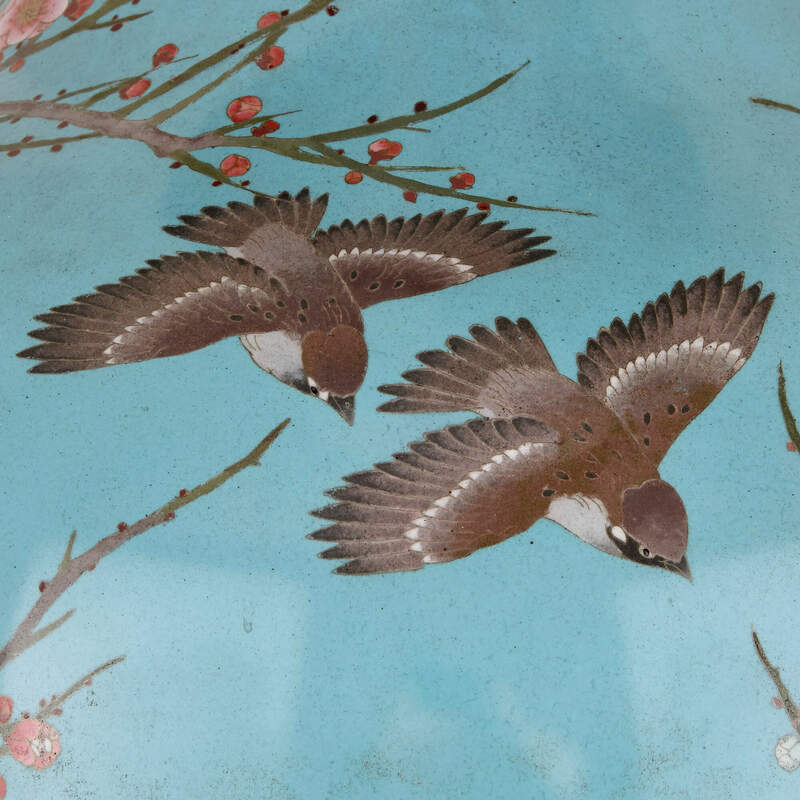 The decorative effect here has been achieved through the use of cloisonne enamelling, a centuries-old enamelling technique involving the application of enamel into shapes formed by wires. Here the technique has been used to exceptional effect on a large scale.